We begin at the beginning, which is to say, we start with the end of ONM. The signs were there for a good while, with a decline in content on the website (which by the end had hardly had a single update in months), and the loss of most of the magazine staff. For most of the year the forums had continued on in the way that they are used to (although lets not all forget that glorious day the new leaders were installed time we got some new mods, including myself! ), but then at the end of September it was announced that the magazine, along with the website and forums, would be closing - in one month's time! Despite a fumbled closure (someone forgetting to actually take the forum part of ONM offline), the Official Nintendo Magazine is now confined to the history books. Although the writing had been on the wall for a long time, it was a sad day when it's death was announced, and of course the desire to not lose the community that existed on the forums was what spurred us on to the creation of this new forum. Our name itself, Super ONM, pays homage to our roots, and of course the vast majority - if not all - of our current userbase came over from the ONM forums. Some small good did come out of the closure, like a silver-lined Lakitu to add to the Mario-styled cloud, and that was the return of many old faces. The announcement of the closure brought back many members of old who had long since grown inactive, and the sense of nostalgia and community that grew out of the final weeks on the forum was something to see. It was also great to see some of those people move over here to SONM, and help bring that feeling of community with them! If you long to see the ONM forums again, don't worry - thanks to some considerable commitment all of the forums have been archived over here. Super ONM opened its doors mid October, and a flood of activity helped kick off the forums with a bang. Topics both old and new were created, some with a super twist - including old favourites like HDYFRN and COTPAY and the revival of Member of the Week - and it seemed like the changeover from the ONM forums was a rousing success. In November the results of ONM Forums Top 100 Games were announced, concluding a huge community-encompassing vote carried over from the end of ONM, with The Legend of Zelda: The Wind Waker taking the top spot - we even commemorated this with Toon Link appearing in the banner! There are too many great topics to link to here that have already been made across the forum, but suffice to say there have been plenty of them since SONM opened! Of course, with December approaching, thoughts across the membership turned to a traditionally big occasion on ONM - Christmas. Christmas was always a big event on the ONM forums, and we wanted to continue that tradition over here on Super ONM. As December dawned we opened the Christmas 2014 subforum, along with announcing the winner of the SONM Christmas Banner Competition that had been open for entries throughout November. Casplen was the winner, with his banner design taking pride of place on the forum for the entire month! The GAAW community also came together for Christmas, revealing the Countdown to Christmas project, which saw some absolutely fantastic contributions displaying a wealth of ability and creativity from the dozen members involved. Activity continued across the the rest of the forum too, of course, with December and Christmas just now drawing to a close as we bring in the new year, this topic being just one of several planned changes and events for the beginning of 2015. All in all, a successful start to the forums! So, there we have it! In just the two and a half months that we've been open Super ONM has had over 400 members sign up, over 500 topics created, and over 30,000 posts made! That's a great start to what you all hopefully see as a great forum, and with your help may it long continue. 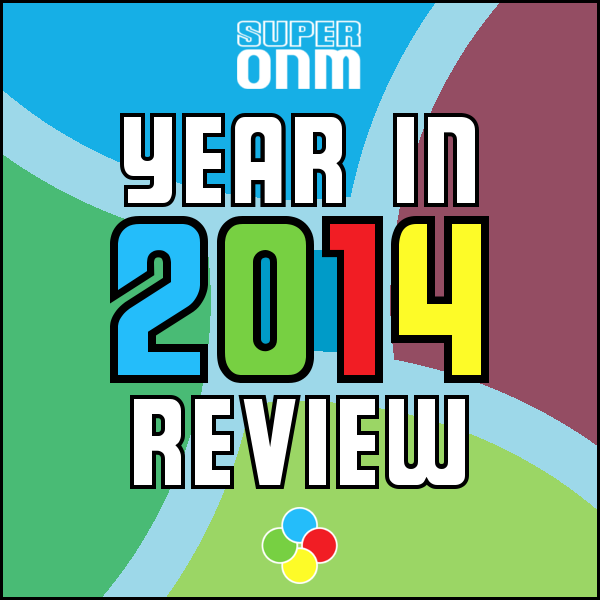 We hope you had a wonderful 2014, we hope you have an even better 2015, and of course most of all we hope to see you around Super ONM in the new year and beyond. Here's to 2015! Thanks for doing this OR, it's always fun to look back on what's happened over the year. You can never look at fruit ice pops the same. I can never look at Hungry Hungry Hippos the same way again either. Or in this case, about 3 months :P Thanks! Nicely done OR, here's to 2015 on SONM! It's certainly been an interesting year for our community, here's to an excellent 2015. Pretty surprised this place has remained so active actually. I mean as it stands the average number of active users seems to be bigger than ONM's was for the duration of 2014 at least, let's see where things stand next year. Let's reflect on something old and fun from the forums. ONM Daily Christmas Sing'alongs! Kudos to OR for this, have a happy new year everyone.
} <-- I'll raise my beer tankard and drink to that .. Cheers SONM users ! Impressed with how well these forums have been maintained really, shame I'm barely active on them. Going to try and make that a New Year's Resolution.